The Channel Manager by SiteMinder gives you incomparable reach and visibility online. It's why more than 197,000 bookings pass through every day to provide over US$59 million in hotel revenue. Work for The Channel Manager? Learning about The Channel Manager? What Channel Management solution do you use? Octorate offers an all-in-one hotel software suite with PMS, channel manager and booking engine. Cloudbeds creates browser-based hospitality management software that simplifies the working lives of hoteliers. Jackrabbit's hospitality marketing intelligence solution that transforms consumer travel data into meaningful insights. Insight Direct provides real time trends and analysis that helps our tourism and hospitality clients to market more efficiently. CultBooking is a channel manager that manages your offers automatically by connecting your hotels booking software and platforms to the internet, controls and updates your listings in your distribution channels, transfers bookings and more. BananaDesk is a cloud-based hostel managemetn system with integrated channel management and features to help you manage your properties. Organizes your reservations from all your channels and keeps track on your guest preferences. 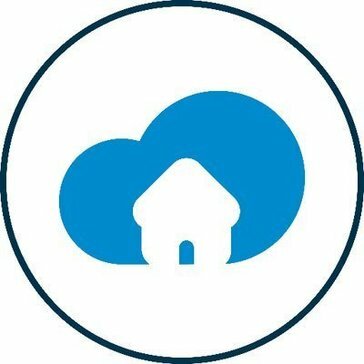 PMS Cloud is a property management system based in the cloud. Automated software that has all you need to sell rooms and manage a hotel online from any place of the world: Online PMS system - manage a hotel from any mobile device; Channel Manager - sell on the Internet; Booking Button - integrated booking module on your website; 2-way synchronization with online-booking systems; reliable data storage; functional & usability; 24/7 support. The Channel Manager is a software that automatically synchronizes availability, prices and restrictions, for each room and for each day of the calendar, of a receptive structure (hotel, bed and breakfast, Holiday house vancanze, rents rooms) in the various tourist portals or OTA (Booking.com, Expedia, Venere, Hotel.de, Airbnb, etc ...). The Channel Manager connects rates, availability, stop sell and more details to all the key online channels, such as Agoda, Expedia, and Booking.com. Your data updates are automatically shared with all connected channels. Silverbyte Channel Management is an event, banqueting and catering software for hotels that is designed to meet the needs of hotels' banqueting departments with modules and features to manage your department. * We monitor all The Channel Manager reviews to prevent fraudulent reviews and keep review quality high. We do not post reviews by company employees or direct competitors. Validated reviews require the user to submit a screenshot of the product containing their user ID, in order to verify a user is an actual user of the product. Hi there! Are you looking to implement a solution like The Channel Manager?